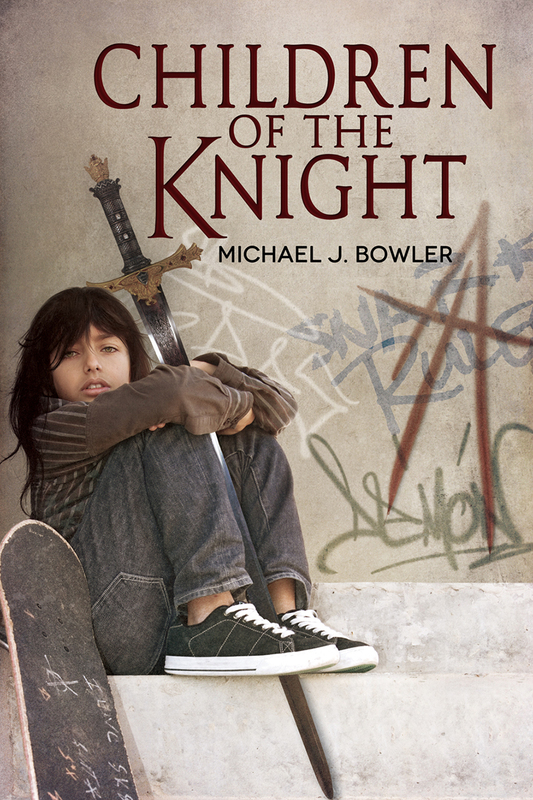 In Children of the Knight, King Arthur comes to America from Avalon to launch a children’s crusade against an adult society that has neglected and marginalized its youth. No greater example of failure is evident than our public school system as a whole. Are there some good public schools out there? Of course there are! Is the system failing to do justice to the youth of this country? Absolutely. When I was in school, I was not only taught how to think and critically evaluate material, I was given choices, too, choices that fit me and my own individuality. Today, public education is cookie cutter, one-size-fits-all and seemingly designed to turn everyone into mindless clones of each other, apparently to serve some authoritarian power since schools are controlled and directed by politicians and bureaucrats. Children and teens today are taught how to memorize facts, names and dates in order to pass tests. For the most part they aren’t asked or required to apply any of this information to the creation of something new, even an essay of evaluation. Rote busy work is the mainstay of public education, including the busy work called homework. Even in kindergarten today teachers are assigning really long homework packets weekly, and if the kid doesn’t finish the oh-so-important packet of busy work, he’s assigned another and must turn in both, or else! Kindergarten? You’ve gotta be kidding! Even so-called AP classes in high school which are supposed to replicate and ultimately take the place of college courses, are rife with busy work and in no way replicate the college experience. As with all school courses, they exist for memorization, not innovation, passing tests, not creating something new. The idea that passing rote standardized tests will turn out the best possible adults in society is absurd! The only thing those tests prove is which ones have the best memory for routine information. Since every single child is uniquely different, kids should be given opportunities to be who they already are rather than what the “system” or even their parents think they should be. Every child is gifted in some way and it should be the goal of the school system to draw out that gift, nurture it, and help the child perfect it. Not every kid should go to college and many wouldn’t even benefit from a bachelor’s degree. All they would acquire is massive debt that might trail them the rest of their lives. There are so many careers and niches kids can become a part of and make a good living so doing, if they were given proper guidance and choices, of course. But no, the “powers that be” insist on everyone going to college because it’s all part of the drone-like indoctrination government schools have been known for since their inception. Oh, and don’t forget the money these colleges rake in! The more useless classes college students are “required” to take, the more money is fed into the system as a whole. Oh, and of course, the college textbook industry is a complete monopoly, designed to rip off each and every student. And people say corporate America is greedy? And don’t get me started on what’s the least important element in the minds of the adults running the school system, because that element is the kids. The teachers union is out for itself, the administrators for themselves, and the policy makers for themselves. All want to pat themselves on the back for their “service” to kids, and yet the group-think these bodies engage in is destructive and anathema to good education. For example, whose brilliant idea was it to teach first graders about sexual harassment, as is done in many schools today? The only way first graders can at even the most elemental level sexually harass someone is after they have been taught the behavior by adults. In the first grade! We’re talking about six year olds here! Creativity in schools is banned. Choices are banned. But sexualizing young children is acceptable because some adult has an agenda? Sick! And don’t get me going on about the teacher’s union. Yes, if you’re a lazy or lousy teacher, the union will support you. If you’re a good teacher who stands up for the kids, you’re on your own. Case in point: as a special education teacher and case carrier it was always my job to advocate for the needs of the kids on my caseload. A former principal took it into his head to kick one of my special ed kids out of the school because he was a gang member in a wheelchair and the principal wanted to make an example out of him. As per my job, I contacted Sacramento for advice and they sent a letter to the superintendent that my principal was in violation of the law and to return said student to campus. That got the principal into trouble so he took it out on me. One day during class several maintenance guys showed up with carts and began hauling all my stuff away. Per the principal’s orders, I was to be moved to a broom-closet-sized storage room with no windows and would from that day on teach my classes from this hot, dirty, airless room with no ventilation. Sounds pretty healthy for me and the kids, doesn’t it? Did the teacher’s union step in to help me because I did my job properly? I think you already know the answer. But teachers with no classroom control or who show movies all the time or pass out worksheets or teach science from books and worksheets with no hands-on experiments, these teachers are good to go. The union doesn’t hesitate to step in if a principal wants to move them to another school or in any way demand they do their job better. Sadly, the union is out for itself, its political power, and the dues it extorts from teachers. It makes no demands upon said teachers that they have to do certain things (like actually teach) in order for the union to defend them. Tragic, but typical of the “It’s all about me” philosophy permeating our society today. And then these same adults complain that children are selfish and demanding. Gee, wonder where they learned those behaviors? Schools also fare poorly when it comes to common sense. Brain research has clearly shown that languages are best learned when children are young, like in the first grade (but, oh, wait, that might interfere with their sexual harassment training) and NOT in high school when the language portions of the brain are more dormant. Likewise, math skills (other than basic ones) are best learned from the age of ten on because that’s when that portion of the human brain kicks into gear. And what about freedom to choose your own path? Do kids in high school have a choice to go into a college-bound academic track or a more vocational/creative track that might lead to a career they’re actually interested in? No. They are all to be college bound because, dammit, we adults know better! No wonder the drop out rate at LA Unified is around fifty percent. The classes kids really want – the “so-called electives” – are the ones most often cut because it’s expedient for the adults to do so. Never mind that these so-called electives might be exactly what a particular kid needs to hone his or her skills in some area that he or she could continue to pursue after high school and that might actually lead to a career of choice. Hell no, kids, you have to get that bachelor’s degree because it makes us, the teachers and counselors, look like we’re doing our job! Do we ever consult the kids about what courses they might like to take, or whether they even want a standard bachelor’s degree? Obviously, the answer is no. The self-centered arrogance of adults running our government, and by extension, our government schools, at both a state and national level, is staggering in its totality. Were I ever elected president (which I won’t be, so don’t worry, all you bureaucrats), the first sweeping change I’d make would be the elimination of the Department of Education. If ever a body was useless (and unconstitutional), it’s that one. Imagine, taking state money, funneling it through a bunch of unneeded paper pushers who create idiotic, untenable laws that purport to know the needs of every school in the country, and then returning that money to the states at something like ten or twenty cents on the dollar. Unbelievable! The next person who runs as “the education president,” vote for someone else! These are but a few of the failures permeating our education system, and our youth, in this country. Arthur provides these disaffected kids with an alternative to standardized public education. Does it work? Read the book to find out. One of the main themes of my new novel, Children of the Knight, is the dearth of real human expression between people in this overly technological 21st Century. As a man from the distant past, King Arthur only knows how to communicate face-to-face, or through the use of human messengers. Despite his initial reticence about even using modern technology, Arthur soon finds himself slipping into the same trap as virtually everyone else in this era––use of texting to try and communicate feelings because that method is so quick and painless. In so doing, he tragically forgets that people need face-to-face interactions, and children, in particular, need personal affirmations of love and support. A text message just doesn’t cut it. Are kids today too removed from real human feelings because they do all their talking through texting or Facebook? It’s easier to communicate in these ways because the other person can’t gauge your sincerity or honesty by looking into your eyes or even hearing the tone of your voice. So if you want to shine somebody on, technology provides the perfect resource. But surely sending someone you love a smiley face can’t hold a candle to actually holding that person’s hand and seeing the smile that basic human contact elicits, can it? And what about the emotion within the human face and voice? Seriously, do all caps really tell you someone is shouting and indicate the tone of that shouting? OF COURSE NOT! Most of how we communicate is through language, but the tone of voice can take the same words and fill them with love or contempt. And what of body language and facial expression? What about looking someone right in the eye? If you get a text that says, “I love you more than life itself,” does that mean anything? If someone tells you that face to face and you’re looking right into his or her eyes when the words are spoken, are you more likely to gauge their sincerity correctly? Of course you are. So much goes wrong for Arthur and his kids in this story because of miscommunication, not only missed text messages, but also because of the reticence of the characters to share their feelings with those they care about. The things we don’t say to each other in life are often the most important, and sometimes in the course of events the opportunity to say something important may only arise once and never again. Or situational circumstances can spiral out of control and there ends up being no time to say those words you wanted to say until it’s far too late. The characters in Children of the Knight learn this lesson in some very harsh, unforgiving ways, and it’s likely been at times a painful reality for many of us, too. I think instant messages and texting are great for communicating insignificant information like what time you plan to meet someone at the gym. But saying “I love you” to somebody for the first time via text or message loses everything valuable those words convey, including the tone, the eye contact, the shy tilt of the mouth into a smile of endearment, everything that makes us human. Likewise, arguing or insulting somebody via text or messaging is idiotic and counterproductive. When we have an issue with someone we need to confront that person and talk it out and reach a resolution, one that both parties can read on the other’s face and in the other’s eyes. We’re not machines yet, so shouldn’t we stop acting like them? As Arthur tells Lance in Children of the Knight, “In this era you have found so many ways to communicate you have forgotten the most important-–face to face.” This sentiment should be taken to heart by all of us, and the resulting society will become far more . . . human.